This website will focus on the snail Euchemotrema wichitorum (Branson, 1972), or the wichita mountain pillsnail. Here we will discuss the habitat in which it lives in as well as its reproduction, adaptations and other interesting facts. 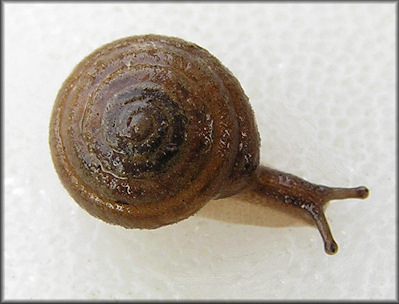 For more information about snails you can visit this page. Note: Euchemotrema wichitorum is a fairly under-researched species, and is isolated to only a few habitats in Oklahoma. Because of these factors, there is not a lot of information available for this one snail. Due to this, we will assume general information from its genus (Euchemotrema), family (Polygyridae), and its closest relative, Euchemotrema leai, for more information.